Click twice for the panorama. 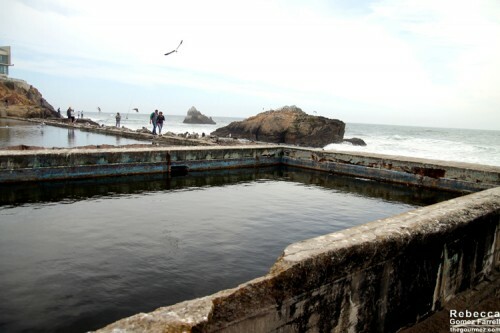 On the western tip of San Francisco lies the abandoned Sutro Baths. 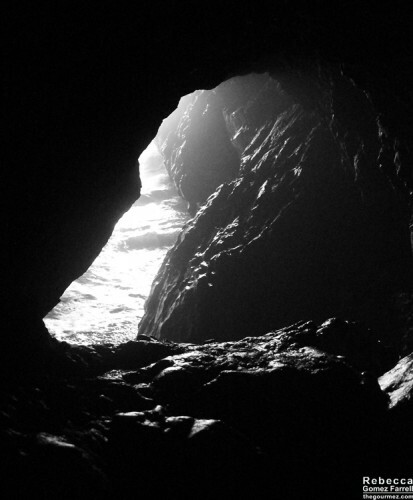 It’s a popular—but not always populous—tourist destination that draws photographers from far and wide for its breathtaking views of the Pacific Coast. 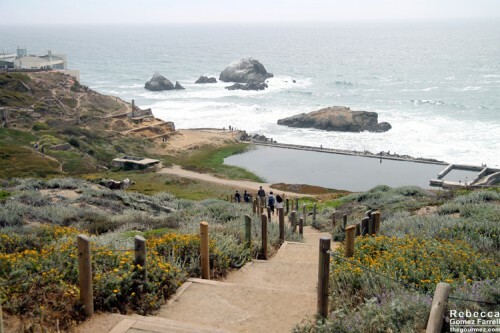 Along with nearby Land’s End, the Sutro Baths are part of the larger National Golden Gate Recreation Area. 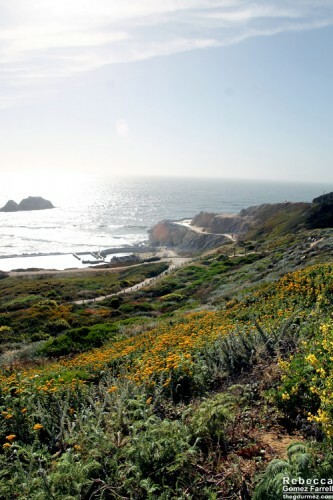 The Land’s End Lookout visitors’ center and parking lot is located right above the ruins at 680 Point Lobos Avenue. When I went in early summer, I found a spot right away, but it was close to full. The visitors’ center is worth a look for its exhibits on the area’s history and its gift shop. Access to the whole area is free. This cutie’s right out front of the visitors’ center. 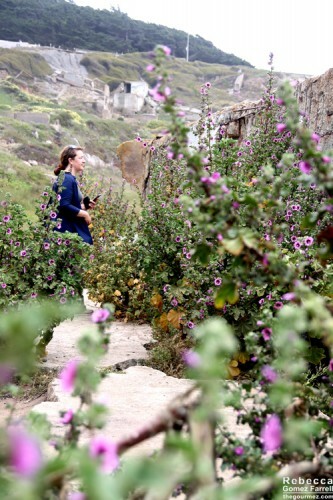 Once you’ve had your fill of information, it’s time to pick a path to climb down toward the ruins. Chances are you already took a moment to gape at the view by the retaining wall. The grandiose public bathhouse opened in 1896, completed with a train line, which is responsible for the tunnel that now functions as a window into the water during low tide. Fed by the ocean, the bathhouse could accommodate 10,000 patrons at a time and even offered several museum-like exhibits on foreign countries. It eventually became part of the nearby Playland amusement park and an ice rink was added, but the Baths never achieved financial feasibility again and burnt to the ground ahead of a planned demolition in 1966. It’s remained ruins ever since. Found SF has excellent histories of Playland and the Sutro Baths on its website with many historic photos and collections of memories. 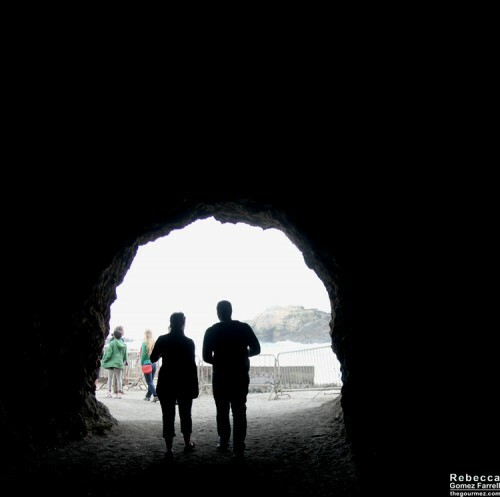 Once you’re done making a few of your own, head up the trail that leads above the tunnel to enter Land’s End. 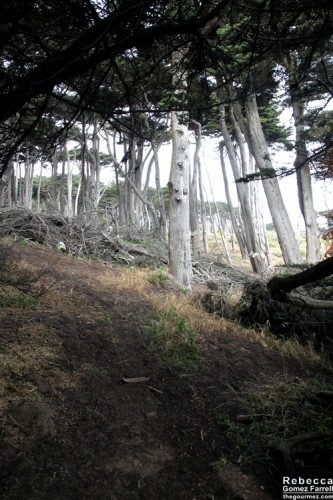 The Sutro Baths Upper Trail quickly matches up to the Land’s End Costal Trail through enchanting cypress groves. 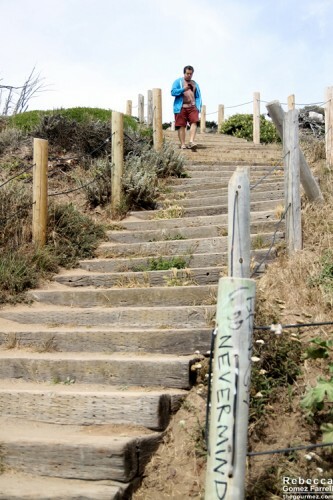 There are stairs, but otherwise, these paths are easy going. You can continue around multiple curves, catching your breath each time the view opens up again to the Pacific. At the Mile Rock Overlook, the Golden Gate Bridge joins in the fun. 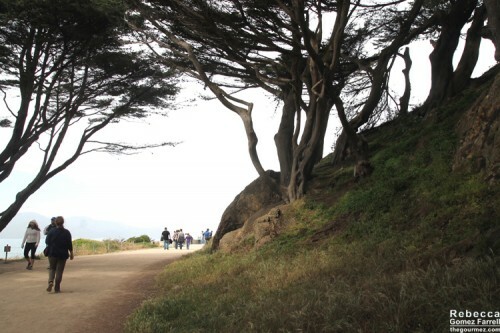 Industrious hikers may continue on to Baker’s Beach and the Presidio’s trail system. 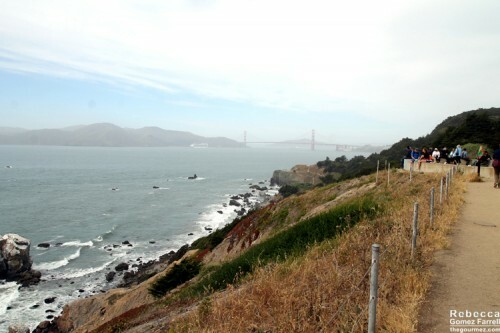 Otherwise, loop back and take the Coastal Trail to come out on top of the parking lot. Don’t forget to grab that one last view. 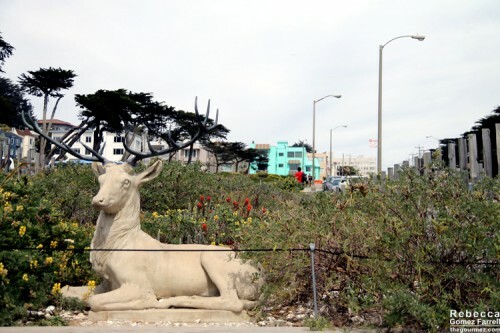 The nearby historic Cliff House, Atlas Obscura, and Ocean’s Beach are all worth your time as well—I just don’t have pictures to share with you of them quite yet! 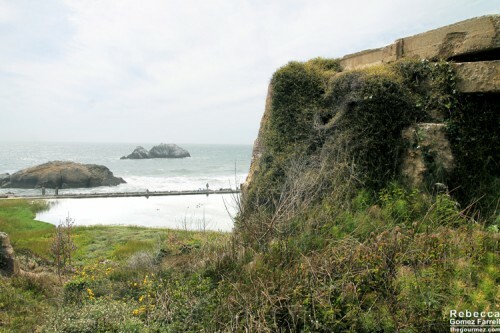 Regardless, the Sutro Baths are an iconic San Francisco destination for good reason. 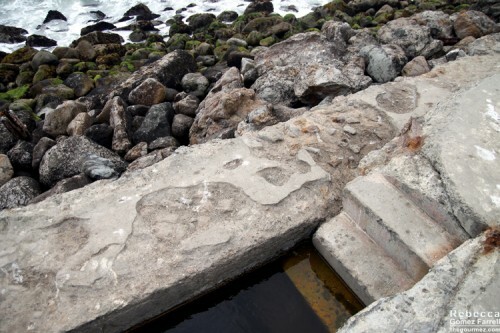 Get your feet wet and imagine how San Franciscans did the same when the Baths’ gleaming walls stood high over 110 years ago. 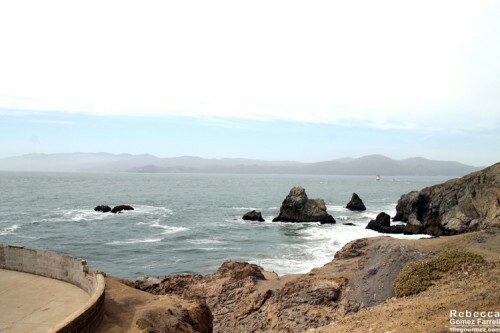 For my full set of Sutro Bath photos, click here. The Camera Obscura is one of my favorite places in the world. I still haven’t seen the Camera Oscura, if you can believe it. It was closed on this particular afternoon. I just read it, Sherry! 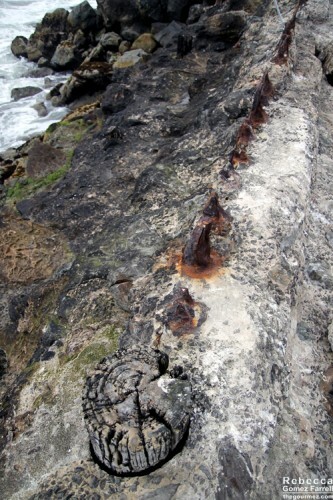 It’s a lovely little photo essay on impermanence. Mark and I have been there many times…Love it!